The foreign exchange market, also known as the forex market or the FX market, is a global decentralised market where currencies are traded. 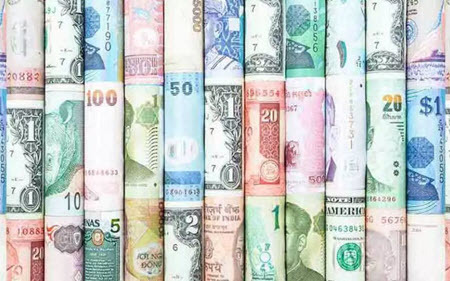 Today, a wide range of contract types have been developed to facilitate not just trading in currencies but also more complex forms of FX speculation, where FX speculators hope to make a profit from fluctuating currency rates. The modern foreign exchange market developed as a response to international trade, where companies and organizations needed to exchange currencies to carry out international purchases. Because of the constantly fluctuating demand and supply of the various currencies, the foreign exchange rates will fluctuate, and successful FX traders know how to turn a profit from this. 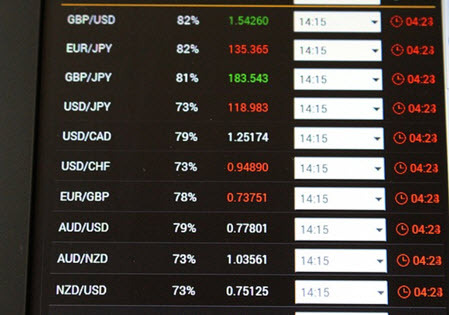 The base of the FX market is the trading in currency pairs, where one currency is exchanged for another. Example: The currency pair Euro – Canadian dollar is known as EUR/CAD (or EURCAD). If the EUR/CAD is listed as 1.4452 it means that 1 Euro costs 1.4452 Canadian dollars. The first currency in the pair is known as the base currency, while the other currency is the counter currency. So, in the case of EUR/CAD, Euro is the base currency and the Canadian dollar is the counter currency. International Organization for Standardization (ISO). The currency code standard is named ISO 4217. Pip is a unit for expressing value changes in a currency pair. When you first start dabbling in forex trading, you will come across a lot of new words and terminology that is important to know. One of the words that you need to learn early on is pips. In your life up until now, pips have probably been the small hard seeds in citrus fruit. But in the world of forex trading, pips are something quite different and stands for percentage in point. Traditionally, the smallest possible change that could be displayed as 1 pip, but today, there are trading platforms available online that will show fractional pips too – sometimes all the way down to 1/10 pip. For most of the commonly traded currencies in the world, the pip will be the fourth decimal. There are exceptions, and a notable one is the Japanese yen where the pip is the second decimal. Example: The exchange rate for the currency pair EUR/USD was 1.1412 and changed to 1.1419. That was a 7 pip increase. The exchange rate then changed to 1.1417, i.e. a 2 pip decrease. Traditionally, FX traders have been buying and selling positions consisting of 100,000 units of the base currency. With such a position, a 1 pip increase means that the value of the base currency has increased by 10 units of the other currency. Example: The exchange rate for EUR/USD is 1.3000. This means that 1 Euro = 1.3 USD. The FX trader purchases five standard-sized positions, i.e. 5 positions á 100,000 units each of Euro. The trader pays 650,000 USD to obtain 500,000 EUR. The exchange rate changes from 1.300 to 1.310. This is a 10 pip increase. The trader is happy and sells his five positions for 650,500 USD. He made a 500 USD profit. Who is behind the transactions? Where is the forex market? The forex market isn’t a specific market (such as the New York Stock Exchange or the Chicago Mercantile Exchange). Instead, it is a decentraliserad (mostly digital) network of large, mid-sized and small markets where currency is exchanged. Two very important trading spots within this network are Thomson Reuters Dealing and the Electronic Broking Services (EBS). EBS is owned by ICAP plc. Today, it is easier than ever before for ordinary individuals to make a profit from FX trading, since there are many platforms available online where you can make a small deposit and engage in currency speculation without being backed by a huge hedgefund, investment management company, or similar. You don’t need to obtain access to major hubs such as EBS – you simply do all your speculation on the platform. This is known as retail FX trading. When the first platforms for retail FX trading began to appear in the late 20th century, they were very crude and some were quite buggy. 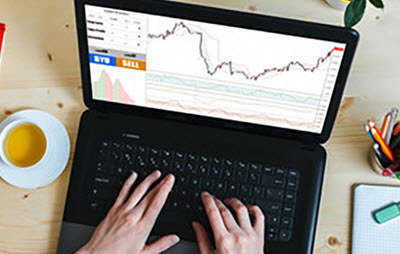 Today, you can chose among a wide range of sofisticated and well-functioning platforms, that in addition to trading also offers you 24/7 economic news, statistics, webinars, tools for technical trade strategies, and more. Many platforms are available for trading directly in your web browser, so you don’t have to download and install the platform on your computer. Some platforms are even adapted for trade on mobile touch-screen devices, such as smartphones and tablets. Regretably, a booming sector such as retail FX trading online will attract not just reputable companies but scammers and fraudsters as well, plus a selection of companies that might be doing their very best but simply aren’t very good at what they do. It is therefore very important to be careful and do your research before signing up and depositing. Important: Never forget that FX trading is a risky business and you can rapidly lose everything you deposited and earned. If you decide to trade using leverage (credit), it is actually possible to lose more than you own and end up in debt! Never speculate with more than what you can afford to lose.